Probably not worth reading if you didn’t read the other Arkwright stories. 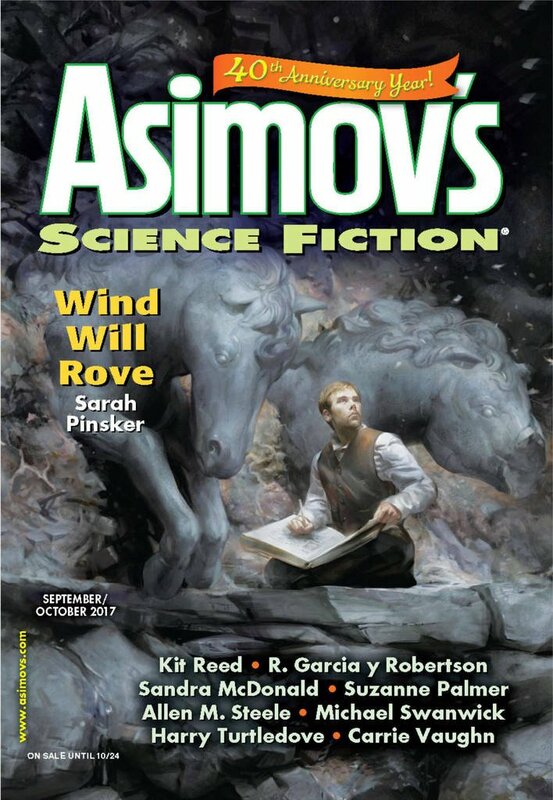 "An Incident In the Literary Life of Nathan Arkwright," by Allen M. Steele [bio] (edited by Sheila Williams), appeared in Asimov's Science Fiction issue 09-10|17, published on August 17, 2017 by Penny Publications. Pro: The essence of the plot is that he gets away from the time travelers and we learn why he quit going to conventions. Con: This might be of interest to people who read the Arkwright stories, but it has very little substance as a stand-alone story.